These hand-made Pastease pastie designs are exclusively from the iHeartRaves team specially selected for you! Be proud and show off your girls in the Glitter Glow in the Dark Unicorn Pasties. 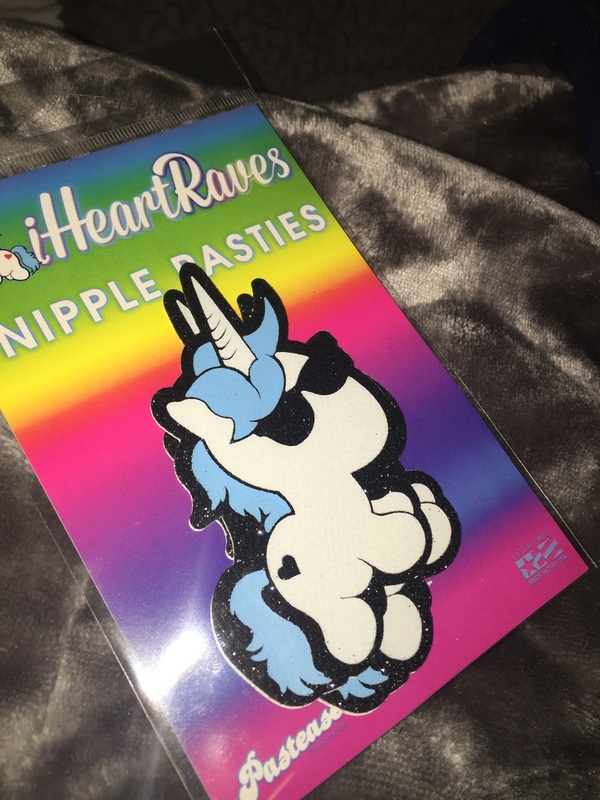 Pastease Glitter Glow in the Dark Unicorn Pasties has a rating of 4.63 stars based on 16 reviews. They were smaller than I anticipated but they’re really cute! Can’t wait to try them! They stayed on the eitire time, which was the only thing I was worried about. Kept me feeling secured. Love my items! Will but more soon! The only reason I'm giving 4 stars is because they are so small. I have a somewhat small areola and they fit just right. A little bit bigger and they would be perfect but I still love them!